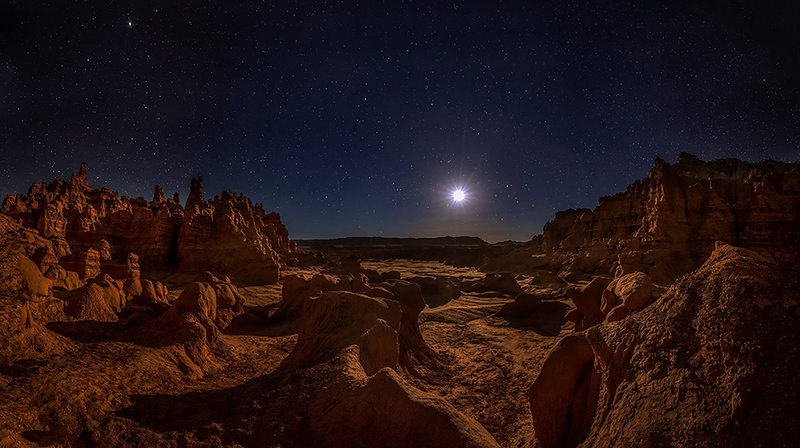 This image was taken on the first night of my workshop with Goldpaint Photography in Southern Utah. Even though at the time, I didn’t know what I was doing, it remains one of my favorite images from the entire workshop. It is an eleven shot panorama shot around 2:00AM of the moonset. Brad’s meticulous direction and encouragement enabled me to take this image on my first night. Thanks Brad! See more of Anthony’s work by visiting his website.